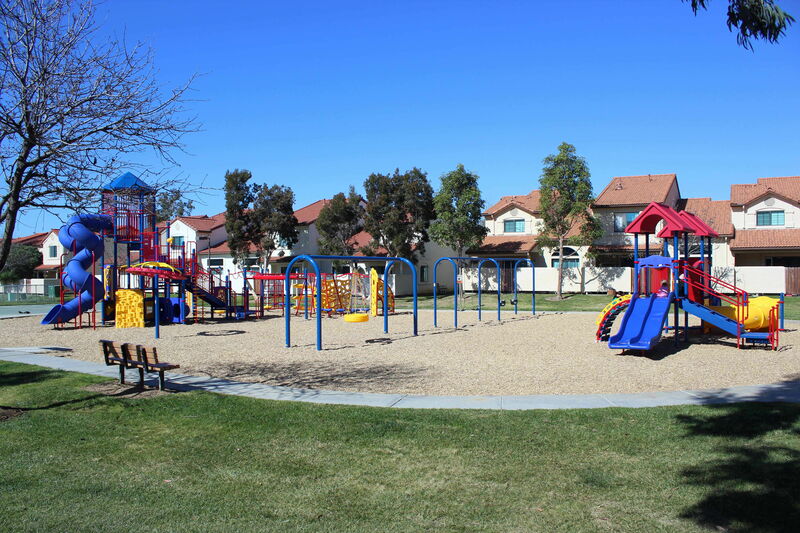 San Diego commercial playground equipment company completes military housing playground equipment project at Stuart Mesa Housing, located at Marine Corps Base, Camp Pendleton in Oceanside, CA. 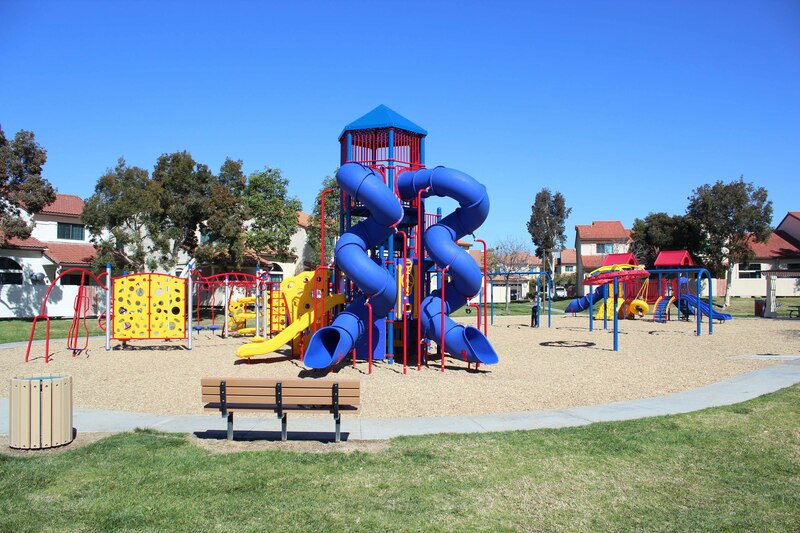 San Diego playground equipment company, Pacific Play Systems, announces completion of the Playcraft playground equipment at Stuart Mesa Housing, located at Marine Corps Base, Camp Pendleton in Oceanside, CA. The new Playcraft playground equipment replaces the old rusty playground equipment that was badly in need of replacement. The project took approximately 3 weeks to complete, which included removal of the existing playground equipment and its replacement with a new 5-12 composite play structure, a 2-5 play structure, 4 swings, a tire swing and a Neutron Spinner. The new playground equipment was furnished by Pacific Play Systems and manufactured by Krauss Craft, Inc. who is the west coast manufacturer of the state-of-the-art Playcraft playground equipment. 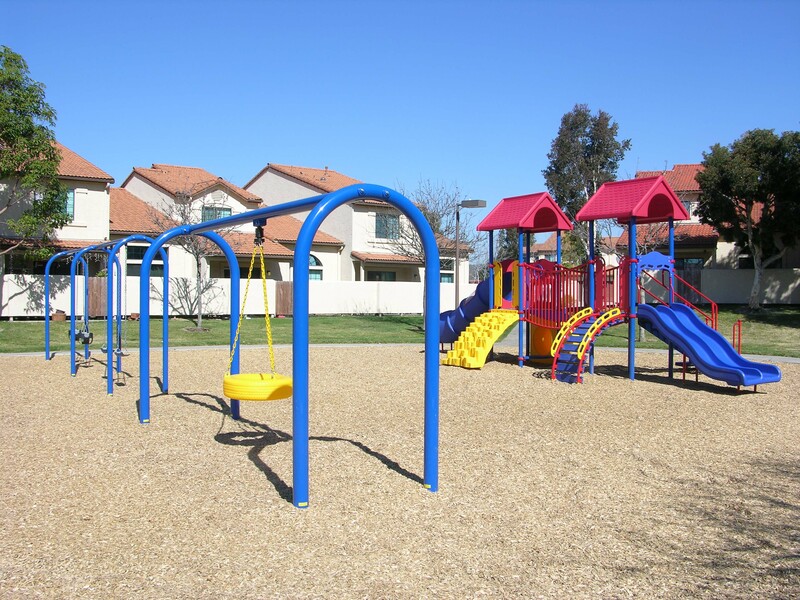 Pacific Play Systems is the sole distributor of Playcraft commercial playground equipment in southern California. What’s unique about this equipment is that it was custom designed to be fun, exciting and challenging, while catering to various age-groups. The 5-12 play structure is a hybrid composite play structure, consisting of both traditional components such as slides, overhead ladders and play panels, and new age Revolution components offering lots of challenging activities, such as climbing walls, climbing nets, rock climbers, etc. The two winding spiral slides provided with the 5-12 play structure are super fast and fun, two stories high and are wide enough to accommodate adults. This play structure is approximately 30' high to the tallest point and can easily be one of the tallest playground structures in San Diego County. The 2-5 play structure was particularly designed for the younger age-group and consists of two slides, a clatter bridge, a rock climber and a number of play panels. The arch swings and tire swing are always popular activities for children of all ages and are already receiving plenty of use. The neutron spinner is designed for more active children and intended for the 5-12 age-group.